Choosing to purchase or rent a new property is an exciting, but daunting process. Several factors will go into your decision making process, but one crucial one is the value of your potential Cranbourne property. Of course, the seller wants a particular value, which is reflected in the listing price. But many factors can affect the value of the home, including hidden areas of property damage or termite threats. Bringing in your own hired building and pest inspections allows you to get an unbiased evaluation of the worth of the property. Pre-purchase inspections in Cranbourne help you catch potential problem areas that the seller may be unaware of or may have missed mentioning to you. The pre-purchase inspections information equips you to make an informed and confident decision about your future property. The value of a new home or property is affected by areas of minor or major structural damage and can be affected by potential problem areas. If you purchase a new home, only to discover later that repairs are needed, you will end up spending more money on your purchase than planned. Finding problems after a purchase can be a frustrating experience and can cause financial strain. To avoid unwanted surprises, bring in a third party professional inspector. 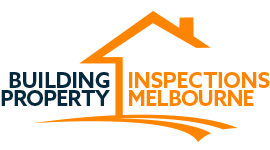 The inspectors at Building Property Inspections has been conducting building and pest inspections in Cranbourne since 2005 and has been in the construction industry for over 25 years. Catching and remedying potential problems quickly is the easiest and most cost-effective way to address minor and major defects. We make sure all our inspectors have a sharp eye for problems, saving you time and money in the long run on repairs. Our staff is available at very short notice. When you call or email us, we can schedule buildings inspections in Cranbourne for the next day. We will also complete your report within 24 hours of completing property inspections. Our company also has full professional indemnity insurance and public liability and also maintains membership in the Housing Industry Association. After you contact us, we will communicate with the estate agent for you to confirm the appointment. During our property inspections, we make sure to conduct a thorough evaluation. We examine the surrounding property, the exterior of the building, and the interior of the building. With our property inspections in Cranbourne, we also conduct a timber inspection. We will check all timber inside and outside the home (including old trees, which serve as fertile termite nesting areas). After the inspection, you will receive a report within 24 hours. The report will be easy to read and full of detail to help you understand what we found. We will describe any minor or major defects we found, and we will include colour photographs. We will also call you the next day to explain the report to you and give you the opportunity to ask any questions you may have. We want our building inspections to give you peace of mind about the property you are considering by providing all the relevant information.